The easy way to do a church-wide *All items shown in this spread are included in the kit. Who Is the Holy Spirit? 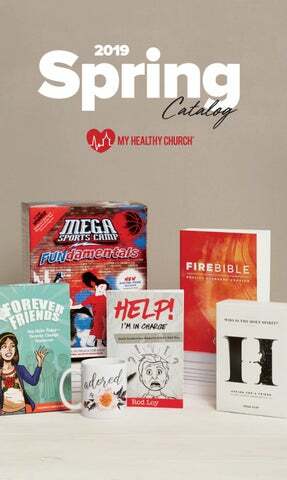 DVD Kit Make it easy to show everyone in your church what it means to have the Holy Spirit in every part of their lives with this 4 week series for adults, youth, and kids. DVD-ROM. Paper, 8” x 103/4” Pack of 8. MEGA Sports Camp T-Shirt Youth and Adult sizes available. Choose from green, blue, red, or orange. The Kit includes 1 blue shirt. Kids love these full-color, take-home newspapers, featuring an exciting sports story and review activities. Enough for 5 kids. 51/4” x 8”. Pack of 5. $1.79 33TN0627 BPA-free. 20 oz. $5.99 33TN0658 Pack of 5. Send home and reinforce each session through a fun and suspenseful storyline. You will need one set of five comics for each kid. Paperback, 51/4” x 81/8”. Set of 5 comics. Help kids build intentional friendships. Say HELLO Forever Friends teaches kids how easy it is to get to know those around them and share the gospel. Multimedia Kit. 6” x 9” x 1 1/4” Includes: Say HELLO Comic Book Set, Say HELLO Wristband, USB, and scarf prop. Note: Quantity prices apply to any combination of English and Spanish. Celebrate your event in style with this charcoal grey theme T-shirt with Adored logo. Semifitted. 100% ringspun cotton. Change it up with this trendy, hi-low, 3/4 sleeve top featuring a looser fit and gold foil design. Grey, 50% polyester/25% cotton/25% rayon. White mug with floral and Adored imprint on one side. 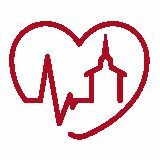 “I am treasured and cherished in God’s heart” on the other. Dishwasher and microwave safe. Ceramic. 11 oz. RELEASING: May 7, 2019 Pre-Order Now! Stainless steel juice trays holds 40 cups. Stainless steel and standard size. Unleavened communion bread. Packaged in a recloseable zip-sealed bag. Approx. 500 pieces. 13/8” high, holds 0.75 oz. Select items are shipped from an alternate warehouse and may take up to 4—6 weeks for delivery. Wisdom Mother’s Day Bulletin Blank inside and blank back cover. 11” x 81/2” unfolded. 51/2” x 81/2” folded. Pack of 50. Honor Moms in you church May 12, 2019! *Note: Deals expire June 30, 2019! Check out free sample lessons and find out more at TruFireCurriculum.com.